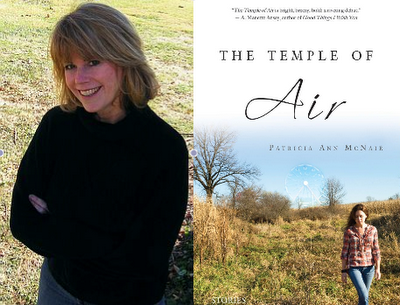 In the 62nd in a series of posts on 2011 short story collections entered for The Story Prize, Patricia McNair, author of The Temple of Air (Elephant Rock), reveals her sources. I sit with my husband at a restaurant, and across the way near a large, haunting, abstract painting on a brick-face wall, another couple lean in toward one another, then away. The man leaves his hand on the table between them, palm up; the woman pulls her shoulders back and crosses her arms over her chest. She is weeping. I lived in a house in a small subdivision between two lakes in Iowa, and the wife of the couple next door was badly scarred. A deep caving in of flesh was where bone and muscle should have been, but wasn't. I found out later that her husband shot half of her face off. A hunting accident. They gave up hunting. She stopped eating meat. On a huge Ferris wheel—one with swinging cages instead of bench seats—I watch as a father lets his little boy, an infant, crawl around the floor of the ride, putting his head against the bars that are supposed to keep us safe. When I worked on the trading floor of the Chicago Mercantile Exchange, there were twin brothers who—in their forties, perhaps fifties—still dressed alike and lived together. They were each single, never married. One was the nice one. One was not. In my teens I babysat for a girl with Down's Syndrome. She was younger than me but actually quite a bit larger, heavier. One afternoon while she settled in for a nap, I dozed on a couch in the den. I woke up when the girl was on top of me, hitting me. Friends tell me stories: There’s a woman with a double mastectomy and a man working in her house; a mother tried to give up eating in order to find enlightenment; a woman suspected her husband of cheating only to find out he was distracted by his serious (and secret) illness. I listen carefully and store it all away, just in case. One writer friend knows what I am up to, and so she prefaces her stories—the really good ones—with: Now, you can’t have this one; this one is mine. They are all ordinary moments from my ordinary life, really, but ones that stay with me, draw me to them and through them in search of narrative. I gather these instances, never quite sure when they will present themselves to me, unbidden at times, or at others, dragged out from the murky shadows of memory. I sit with my pen and my journal, or my fingers on a keyboard, and scan through those things I have witnessed, I’ve been told, I’ve noted, and I wonder about still—days, years, sometimes decades after this happened, after that occurred. Here—in each day I make my way through—is where story lives. The couple pulling apart at the table, the scarred wife, the endangered child, the odd twins, the big girl and her babysitter, the man in the house, the longing mother, and the distracted husband each have found a home in my linked collection, The Temple of Air. They are no longer the people I saw or was told about, they are no longer the people I knew. They have become others, characters created, who populate the pages of the stories I’ve imagined in the lives I’ve discovered. It is this, this moving from watching, gathering, storing away, to writing it down that changes things. What was real, what really happened, no longer matters, at least not to me. It is an interesting tension, this pull between observation and imagination, this balance of seeing it happen and making it happen. This place that is settled somewhere between what is real and what is imagined is where I come to do my work; this is where I live my storied life. On Feb. 21, I learned (via Twitter) that the three finalists for The Story Prize this year are also finalists for two other book awards. Don DeLillo's The Angel Esmeralda and Steven Millhauser's We Others are among the five finalists for the PEN/Faulkner Award for Fiction. 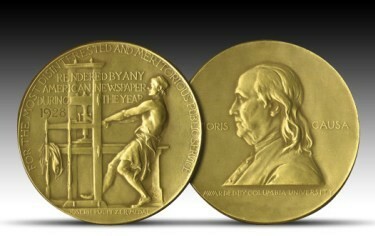 And Edith Pearlman's Binocular Vision is one of five finalists for the Los Angeles Times Book Prize. It's also up for the National Book Critics Circle Award (as announced earlier) and was a finalist for the National Book Awards in November. One reason we established The Story Prize partly was that we believed the major U.S. book awards for fiction hadn't often enough recognized short story collections—and that the form deserved its own award. Rarely does a story collection win these prizes. PEN/Faulkner has the best track record in this regard, having given its fiction prize to two story collections in the past two years: Sherman Alexie's War Dances in 2010 and The Collected Stories of Deborah Eisenberg in 2011, as well as three others in the past 20 years—for a total of five winners. If you don't count Jennifer Egan's A Visit from the Goon Squad, which the publisher maintained was a novel, The Pulitzer Prize last went to a story collection in 2009—Elizabeth Strout's Olive Kitteridge. Before that, it most recently went to a story collection in 2000, when Jhumpa Lahiri won for Interpreter of Maladies. But those are the only two books of short fiction that have won in the past 20 years—even 30 years. The last short fiction winner before 2000 was The Stories of John Cheever in 1979. A short story collection hasn't won the National Book Awards since Andrea Barrett's Ship Fever in 1996, and the last story collection to win before that was Ellen Gilchrist's Victory Over Japan in 1984. However, readers did choose The Complete Stories of Flannery O'Connor as the best book in the NBA's first 60 years in 2010. And more short story collections seem to have been among the finalists in recent years. 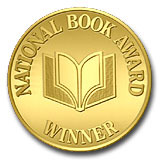 Excluding Egan's book last year, the last story collection to win the National Book Critics Circle Award for fiction was in 1998--Alice Munro's The Love of a Good Woman. Gina Beirault's Women in Their Beds, a 1996 winner (and also a PEN/Faulkner winner), is the only other story collection to win the NBCC award for fiction in the last 20 years. In my opinion, short story collections are harder for critics to write about, which is one reason I think this award is a tough one for short fiction entries to crack. In any event, we're happy that all three of this year's finalists for The Story Prize have a shot at winning other awards, too, because we believe in these three books and wish them—and short story collections in general—as much favorable attention as possible. Good luck all. * [Author links are to guest posts on The Story Prize blog. The TSP blog features guest posts from authors whose books have been entered for The Story Prize (an annual book award for short story collections), along with news about the prize and coverage of our annual event. 2019 submission deadlines are July 15 for books published Jan.-June, and Nov. 15 for books published July-Dec.